At least thirty-seven per cent of male convicts and fifteen per cent of female convicts were tattooed by the time they arrived in the penal colonies, making Australians quite possibly the world's most heavily tattooed English-speaking people of the nineteenth century. Each convict's details, including their tattoos, were recorded when they disembarked, providing an extensive physical account of Australia's convict men and women. Simon Barnard has meticulously combed through those records to reveal a rich pictorial history. 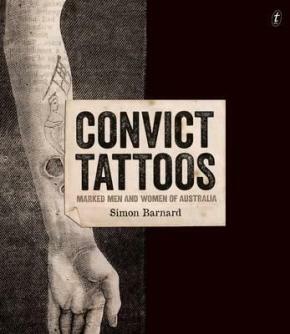 Convict Tattoos explores various aspects of tattooing-from the symbolism of tattoo motifs to inking methods, from their use as means of identification and control to expressions of individualism and defiance-providing a fascinating glimpse of the lives of the people behind the records.